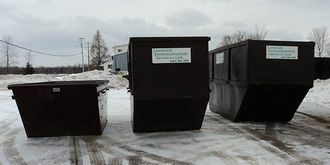 Solid Waste Removal & Recycling Brockville | Home | Limerick Environmental Services Ltd.
From municipal landfill services to clearing construction sites, we got you covered. Let’s face it, garbage is unsightly and needs to be removed as soon as possible. It can even pose a health hazard. 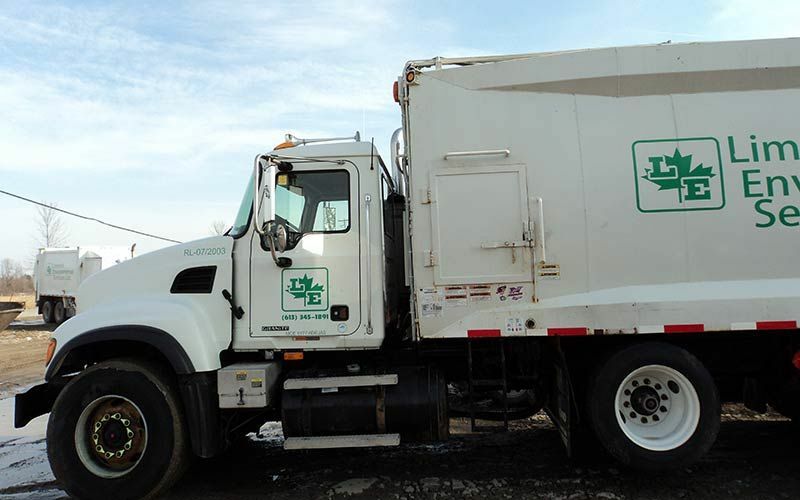 Serving industrial, residential, and commercial clients throughout Eastern Ontario, Limerick Environmental Services Ltd., based in Brockville, specializes in solid waste removal and recycling. We also rent containers, for short and long terms, ranging from two to 40 cubic yards. Our container rental service includes door to door pickup service in certain designated areas. Rent our containers before taking on your construction projects! More on our services and rates. Limerick Environmental Services Ltd. is your best source for all types of rubbish removal, from residential recycling to construction and demolition waste. We’re known for the quality of our professional services as we are for our great rates! Ask about our same day garbage removal service! Ecofriendly Limerick Environmental Services can also help you get rid of those unwanted bottles, plastics and cans. All you have to do is set them out on your curb! We’ll take care of the rest. It’s just that easy to go green. Call us to plan a schedule!